Not sure what to buy that someone special? Perhaps you want the gift to be local or one that benefits the community? 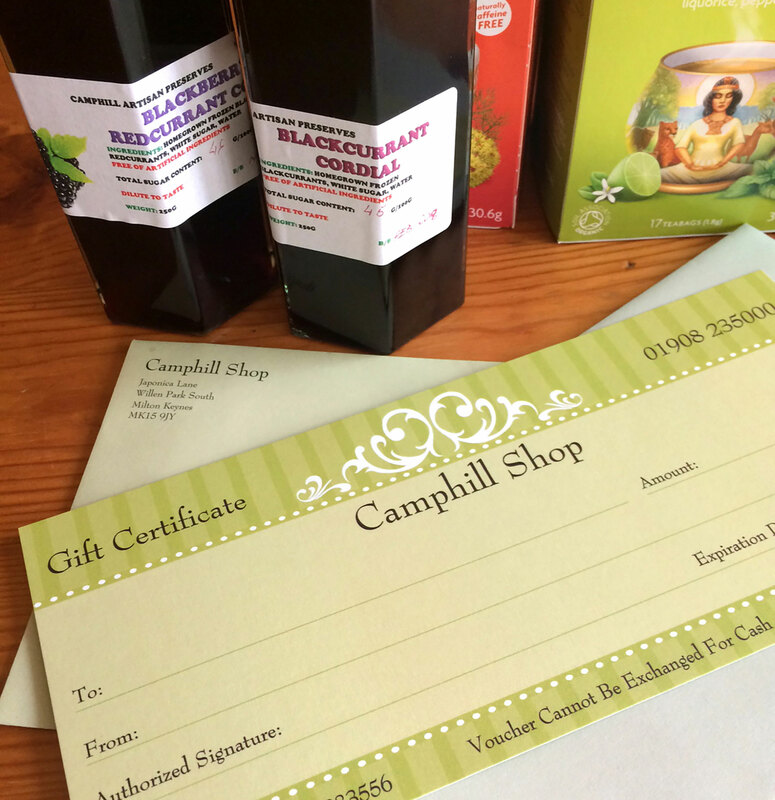 Why not consider our Camphill MK Shop and Cafe gift certificates? They can be redeemed on a number of wonderful products in the Shop from home-made & home-grown preserves, vinegars and homewares, fresh bread from our Bakery, a range of other organic and fairly-traded foods and drinks, or perhaps it’s cake and tea for two that will appeal to them.